A Regional Centre for Entrepreneurship Development (RCED) and The Department of Science and Technology (DST) sponsored three-day National Entrepreneurship Awareness Programme being held at Deptt. 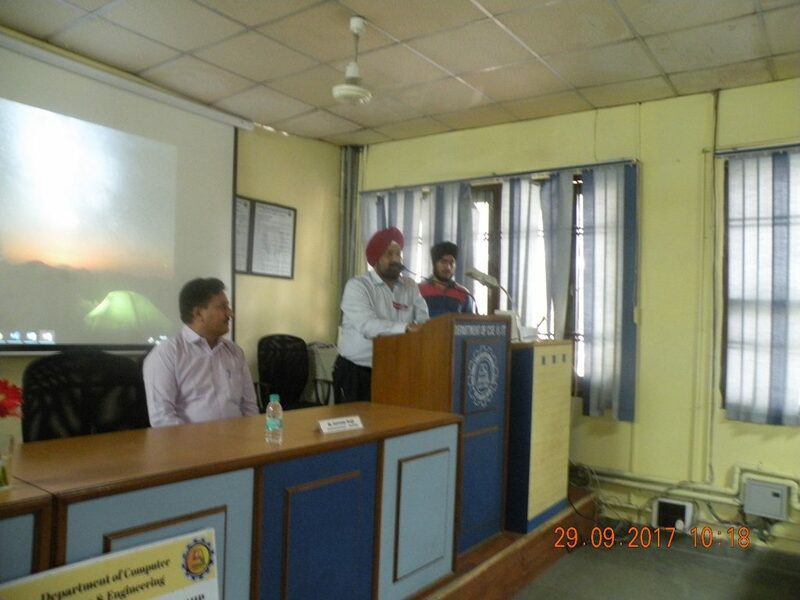 Of CSE, BBSBEC Fatehgarh Sahib on 27-29, September 2017 in which about 100 students from various state institutes participated. The session started with the talk of Mr. Satvinder Singh, consultant RCED. He emphasizes the importance of entrepreneurship in today’s world. Major Genral G. S. Lamba, principal addressed the students and encourage them to participate in these kind of program. 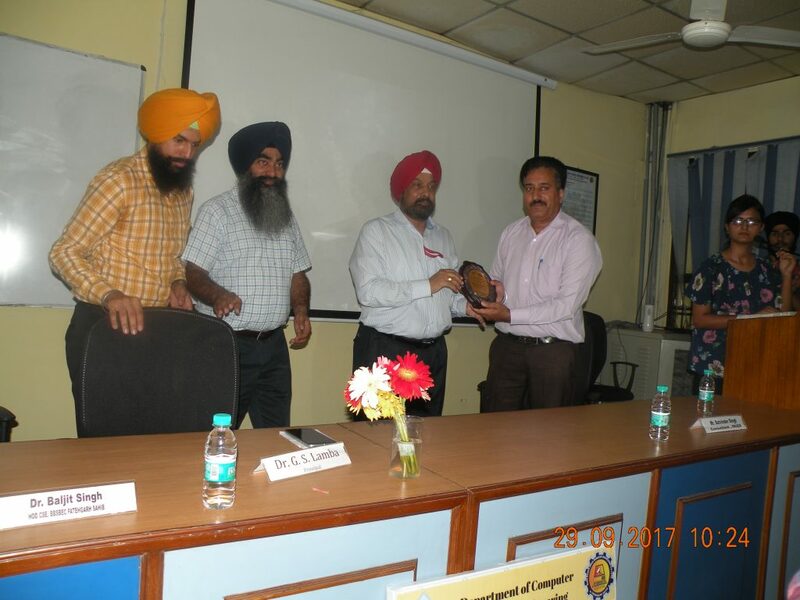 Dr. Baljit Singh Khehra, HOD CSE gave vote of thank. After that there was valediction of the program where certificated distributed to the students. The program was ended with an industrial visit to Sebiz Chandigarh. During this program two BBSBEC students Mr. Sanjeet Singh, and Mr. Amandeep Singh were honoured with Dr. Gurpal Singh Memorial Educational Award. The program was coordinated by Er . Ishpreet Singh Virk under ACM student chapter program and hosted by Er . Perminder Kaur. Dr. Kanwalvir Singh Dhindsa , Er .Ravneet Kaur , Er . Gurleen Kaur Dhaliwal , Dr. Jaspreet Singh Oberoi, Dr. Lakhvir Singh, Dr. Gursewak Singh Brar, Dr. Bhupinder Singh Bhullar, Er. Deepak Aggarwal, Er. Gurbahar Singh, Er. Simrat Walia and Er. Sukhwinder Sharma were present at the occasion.